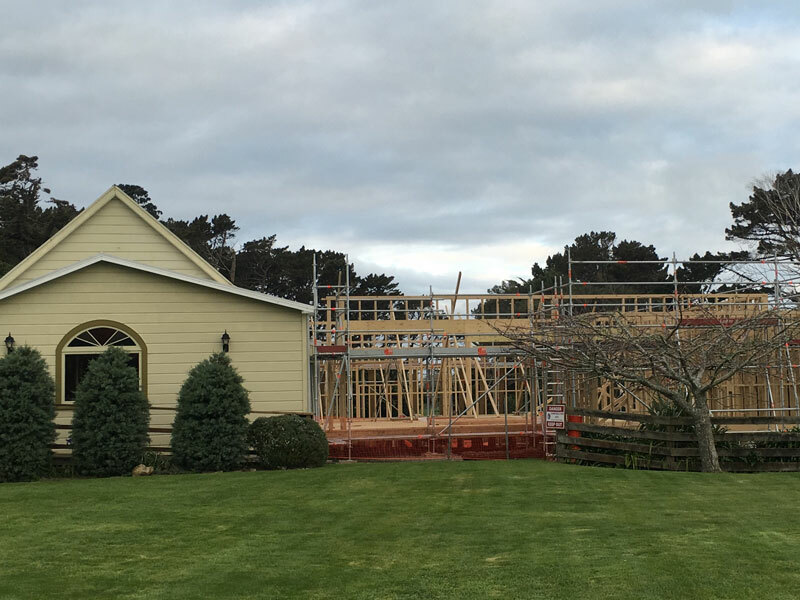 Building is underway to increase capacity for Tairoa Lodge’s popular function venue, Tairoa Church Hall. The new space will be ready for December 2016 and owner/manager Linda Morrison said “we are excited to have the expansion underway. For some time now we have been planning an expansion which wouldn’t compromise the look and feel of the current space of the Church Hall. This means, we will continue to have exactly the same space as we currently do, but be able to open up doors for larger groups to move into this new function area, which will feature a dance floor and large opening doors facing out onto a deck and the lawn”. Tairoa Church Hall is perfect for private functions, celebrations, corporate events, weddings and funerals.